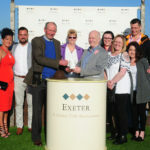 This year’s Heavitree Brewery race day was a great success. 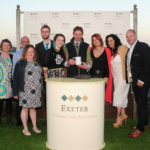 Tenants from the Mount Pleasant, Wonford Inn, Anchor Inn, Atmospheric Railway and Ship Inn in Teignmouth all presented winning trophies, enjoyed hospitality in the Winners Bar and had their pubs promoted in the race card after winning our sales competition. Malcolm and Kathrine from the Mount Pleasant present the winning trophy to top trainer Paul Nicholls. Race 2 Wonford Inn Novices Hurdle. 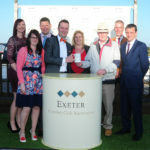 John and his team from the Wonford Inn presented the winning trophy to a surprised winning team of the rank outsider Foxy Act. Race 3 Anchor Inn Handicap Hurdle. 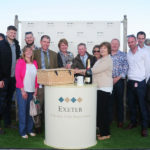 Scott and the team from the Anchor Inn presented the trophy to the winning owners of Doctor Look Here trained by local Sue Gardner. Won this year by Colin Tizzard with his horse Tempestatefloresco. 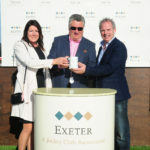 The full owners team were presented with The Heavitree Brewery cup by Katharine Wheatley, wife of Heavitree Brewery PLC trade director Terry Wheatley. Race 5 Atmospheric Railway Inn Hunters Chase Series Final. 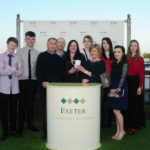 Won by Mountain Cliché, the winning trophy was presented by Amy and team from the Atmospheric Railway Inn at Starcross. Ship Inn Teignmouth – National Hunt Flat Race. 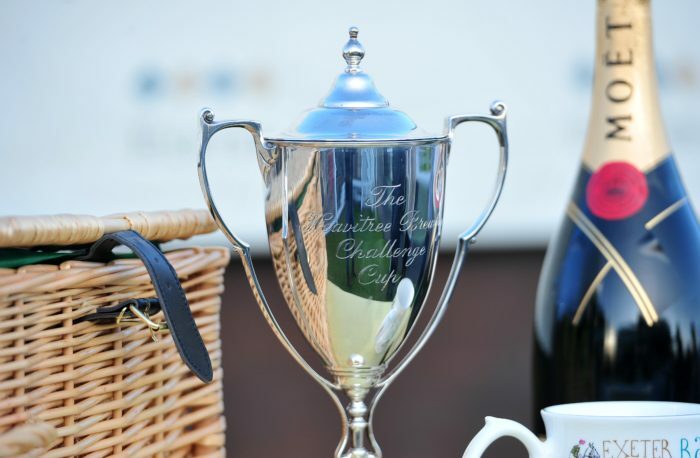 The Ship Inn team presented the final trophy of the day to the winning connections of Equus Amadeus.